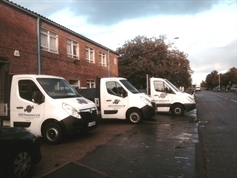 Another Van added to our Fleet! We have added another new van our fleet. This means RSR can make more next day deliveries to our customers than ever. Place your orders now! Follow us on Twitter @RSRfasteners for the latest news! Search for us on Facebook and Like us at RSR Fasteners Ltd.
Ejot's new product the EJObar is a mutli-purpose bridging bar that creates a fixing base for a wide range of applied systems - typically mechanical and electrical essentials through to certain solar thermal and PV systems. In fact, EJObar is perfect for almost anything that needs to be secured onto, or over the single ply PVC membrane system. EJObar is supplied in a range of five practical lengths and consists of a PVC profile casing a strong aluminium insert - sealed tight by two end caps. Click onto http://www.ejot.co.uk/EJObar for more information. RSR Fasteners Ltd are Blind Bolt Stockists. The Blind Bolt brings exceptional qualities to the market in that it has transcended the first generation of blind fixings image to become a product that is changing the way architects and builders alike approach their designs. No longer is fixing into a girder cavity or box section a problem. The Blind Bolt has created this opportunity while in most cases reducing costs. Please visit www.blindbolt.co.uk for more information or give our sales team a call. Gripple Hangers are used on major projects worldwide, covering Industrial buildings, distribution centres, schools, hospitals, warehouses, and retail stores. In fact, they can be found in some of the most prestigious projects around the world. The whole essence of using Gripple to suspend fixed loads is to save time and money. 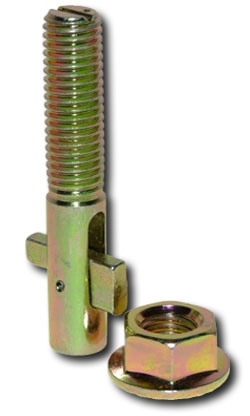 Gripple is a natural replacement for threaded rod or chain for a number of reasons. Gripple Hangers are supplied as a complete kit ready for use Each kit comprises a length of steel wire rope with a choice of 8 end fixings, a Gripple to adjust the free end, and a setting key. Originally established as Rowland Nicholls&Co Ltd in 1948 as a fixing and electrical wholesaler to help supply the huge demand to rebuild London during the post war years. Our original offices and warehouse were based at Lionel Rd, Brentford where we remained for over 50 years. RSR relocated to Hayes in 1999 to a modern 6,000 Sqr ft warehouse and offices within minutes of the M4, M25 and A40. RSR Fasteners Ltd currently supply over 600 companies across the UK and have developed a new export market which generated £1 million of sales in its first year. With sales in excess of £3 million in 2008 , RSR is meeting the ever demanding requirements of a modern day wholesaler. With over £300,000 of stock held at Hayes, 80% of orders are fulfilled next working day.